Australian Kuranya is a brand-new essential oil blend featuring essential oils extracted from many powerful plants that call Australia home. The aroma is fresh and uplifting, yet outback-woodsy. The blend is named “Kuranya,” the aboriginal word for “rainbow,” because each oil comes together to create something more beautiful than the sum of its parts. Australian Kuranya essential oil blend contains oils from powerful plants found all across Australia—from the luscious, green Tasmanian islands to vast northern deserts. The synergy of each oil gives it a pleasing, earthy aroma and skin-loving benefits that can help cleanse and enhance your natural radiance. Australian Kuranya is the first product to carry the D. Gary Young Research Institute seal on its label. Formerly Young Living’s Research and Development team, the D. Gary Young Research Institute adopted its new name to honor Gary’s memory and legacy. The name is a continual reminder that Gary’s vision, expertise, and commitment to quality are forever fully infused into our product research and development efforts. Many of the highly trained scientists in the Research Institute worked side-by-side with Gary in the lab and have absorbed his approach, wisdom, and intentions when it comes to developing new products for Young Living. This seal is an assurance that Gary’s tradition of quality and innovation has been upheld through the development and production of every new Young Living product. - Apply topically with Rose Ointment™; refresh skin when needed. 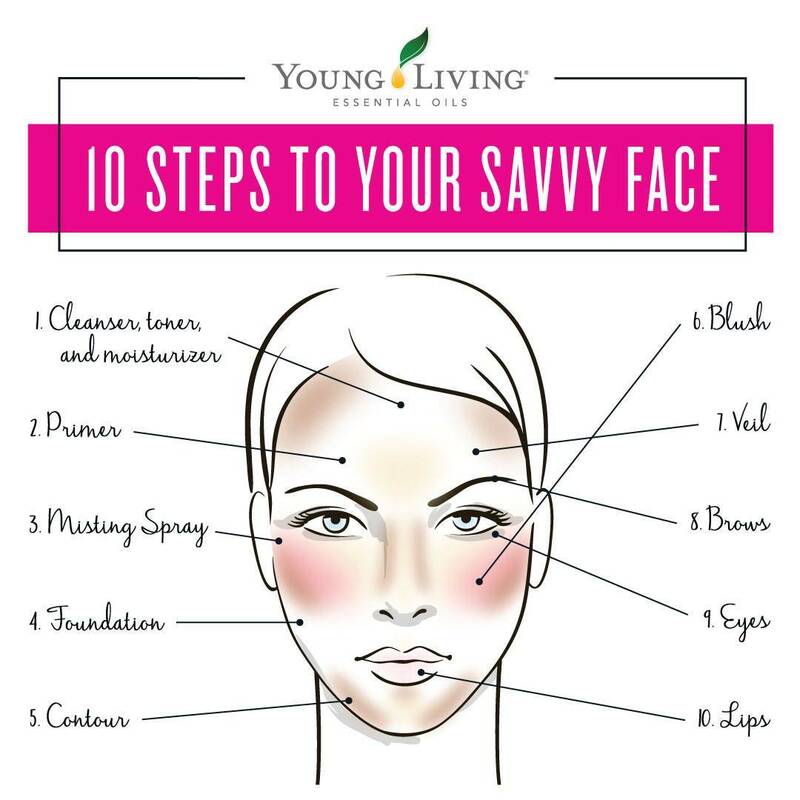 - Mix a few drops with your moisturizer to enhance the natural radiance of healthy-looking skin. - Add to V-6™ Vegetable Oil Complex and use in a massage for an invigorating, soothing experience. - Rub on the bottoms of your feet in the morning to jumpstart your day. - Apply to your chest for a breath of fresh air and a refreshing respiratory experience. - Add to Thieves® Household Cleaner for a cleaning boost. - Diffuse for a fresh aroma to start your day off right and to uplift your mood any time of day. Who is excited to try Australian Kuranya? Like this post if you LOVE using essential oils in your shower! Do you add your favorite citrus essential oil?? Or do you prefer the crisp, minty oils? 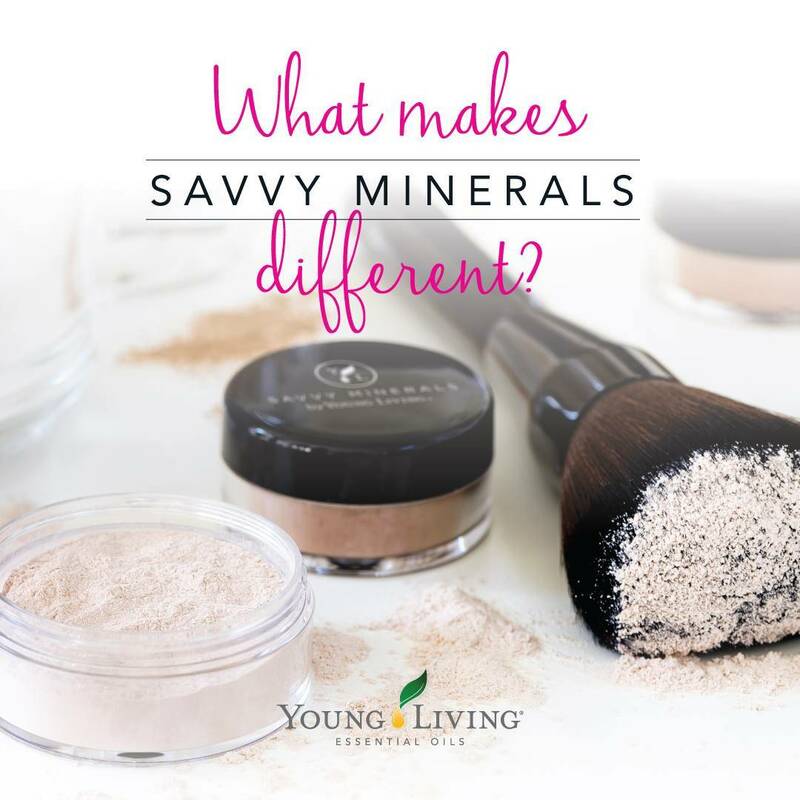 Either way, you are going to love the NEW Young Living shower steamers! The shower steamers come in two amazing options: Citrus Fresh™ Energizing Shower Steamers and Easy Breeze™ Awakening Shower Steamers. • Citrus Fresh combines the clean, bright aromas of five citrus essential oils—Orange, Tangerine, Grapefruit, Lemon, and Mandarin Orange—plus Spearmint for an energizing, uplifting, and refreshing shower. 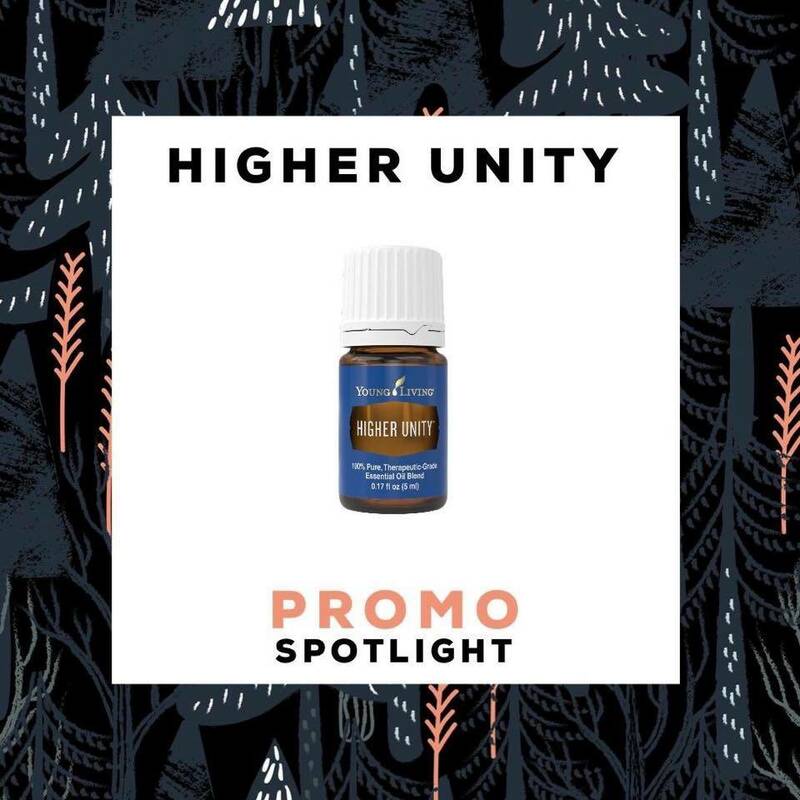 • Easy Breeze combines the crisp, clear scents of Peppermint and Eucalyptus to rejuvenate your senses and is a perfect option for the upcoming colder months. 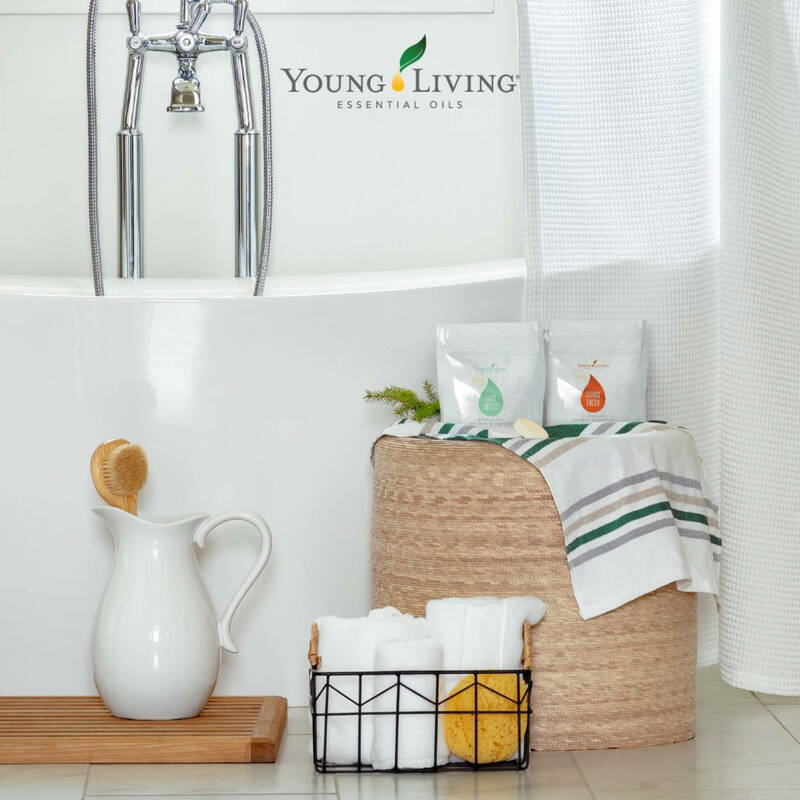 If you’ve used the Young Living bath bombs, you know they are designed to be relaxing and stress relieving as you unwind in the tub after a long day; the shower steamers are formulated to provide energizing and awakening aromas to help get you up and going in the morning. As the tablets fizz and effervesce, the essential oils float into the warm steam to release their aroma and therapeutic benefits. The shower steamers are formulated with 100 percent naturally derived ingredients! And the best part is that the shower steamers are extremely easy to use! Simply place a shower steamer on a shelf or on the shower floor. Make sure that it will get wet but won’t be in the main water stream. Allow it to fizz, then breathe in the oil-infused steam for a rejuvenating start to your day. So which one are you most excited to try—the Citrus Fresh Energizing Shower Steamer or the Easy Breeze Awakening Shower Steamer? Comment below with your answer; happy steaming! 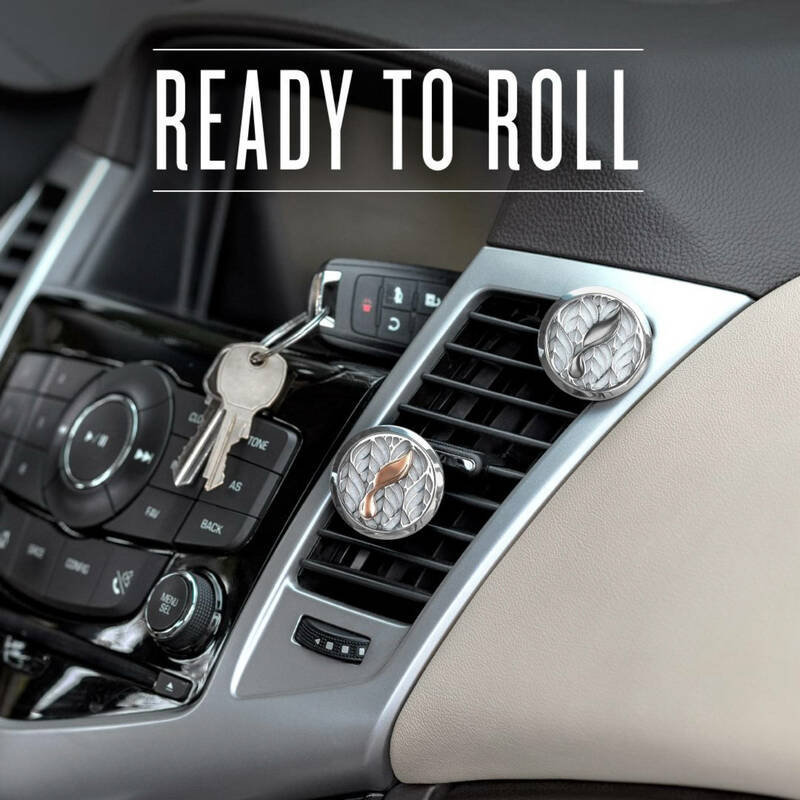 Young Living’s Car Vent Diffusers are the perfect way to take the aroma of essential oils with you wherever you drive. By adding the diffuser to your car’s vent, you can fill your vehicle with your favorite blissful aroma, purify the air of odors, or enjoy some aromatherapy on the go. 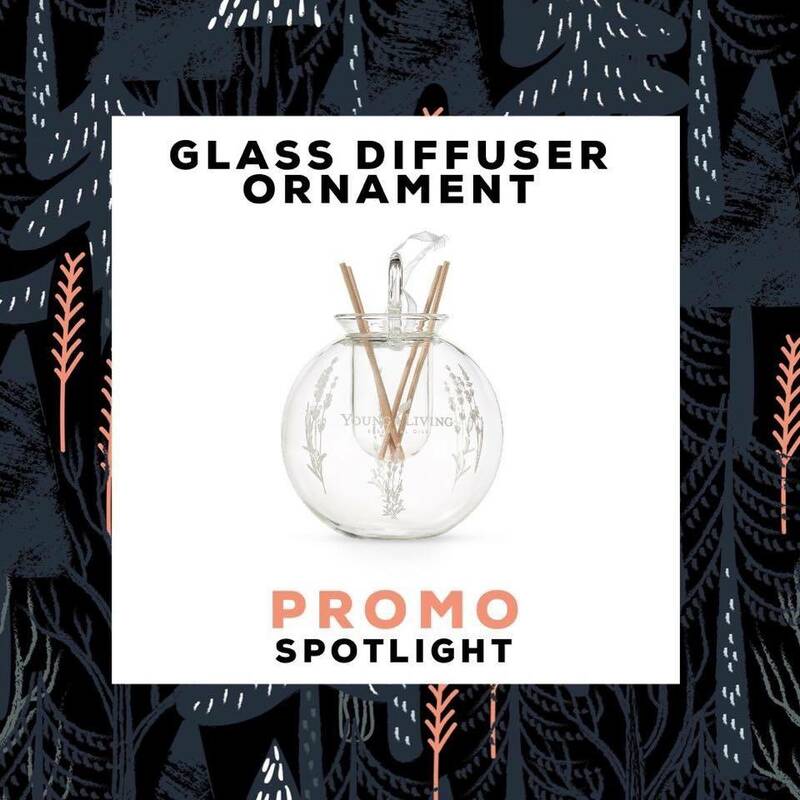 The custom-designed stainless steel diffuser is also a stylish accent to any dashboard and is available with a rose gold or gray logo in the center. •A simple and convenient air freshener for your car—no batteries or cables needed! •Put 6-8 drops of essential oil on a cotton pad. •Open the diffuser using the notch opposite of the hinge. •Place the pad inside the diffuser, oil-side-down. •Close the diffuser and pull back on the vent clip to rotate the logo until it’s oriented in the direction of your vent. •Clip onto your vent and turn on the air to diffuse the scent. •Handwash the cotton pad as needed. You can buy the Dash Away Car Diffuser Set which includes two car diffusers and a 15-ml bottle of Peppermint essential oil or buy the diffusers individually! These diffusers are a permanent product! We are excited to use AromaEase™ on long road trips and Peace & Calming® when kids are getting stir crazy! What oils are you excited to use in your car? In Case you missed it~ The November Promo!!!! That’s a BIG bottle of Frankincense friends!!! Woohoo!!! 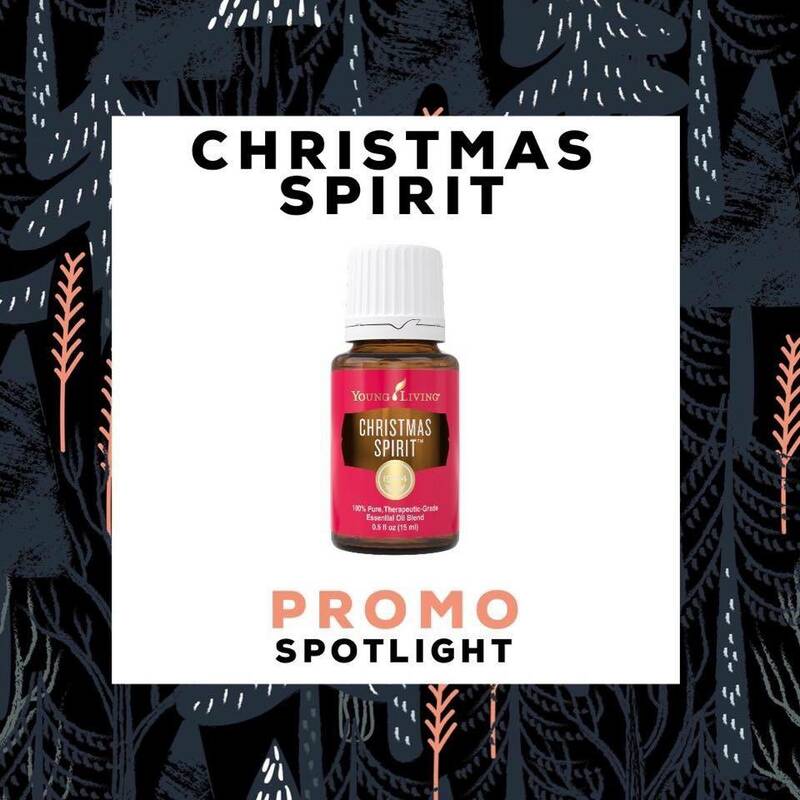 Your Christmas tree isn’t complete without a Young Living diffuser ornament!!! All of these are great and perfect for this time of year!! 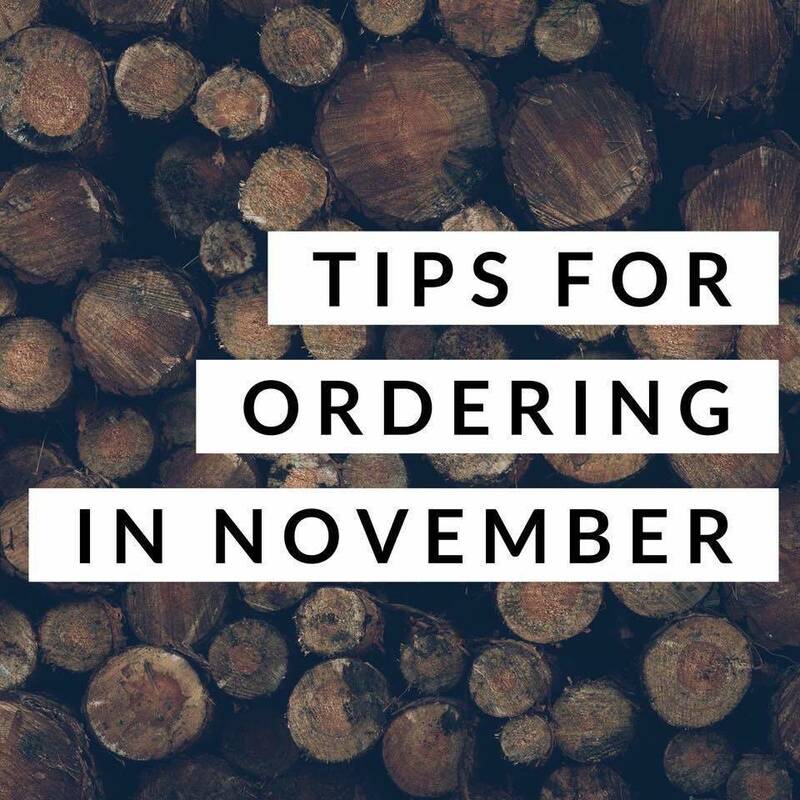 Tips for ordering in November! 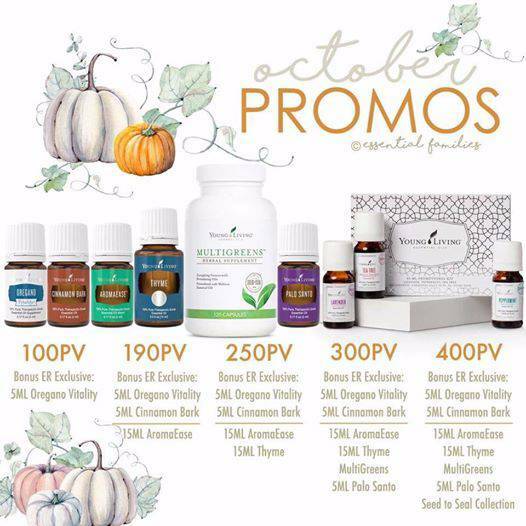 October Promotions are here and we are SO incredibly excited!!!! Guess what, y’all? There’s a 400 PV BONUS Tier promo, a supplement, and EIGHT amazing oils for fall all for free with qualifying orders! Young Living has completely outdone themselves with these October Promos!!! ➕Oregano Vitality 5 ml (100PV ER Exclusive): This oil is an absolute powerhouse for your wellness cabinet!!! It supports the immune system, respiratory system, digestive system, and more. You can also add this vitality oil to your sauces or salads - but it’s super strong so a little goes a long way. ➕Cinnamon Bark 5ml (190PV ER Exclusive): Give me all the yummy fall diffuser blends with this oil!!! You’ll never use scented candles again when you have your diffuser and some oils. Bonus- This one purifies the air rather than poisoning it. Also a Vitality oil, it supports the circulatory system, cardiovascular system, and digestive system. Smells like a cookie and good for your digestion? I’m all in! ➕AromaEase 5ml (190PV): This blend has a minty and calming aroma. We like to apply topically over the tummy before long car rides or air travel. 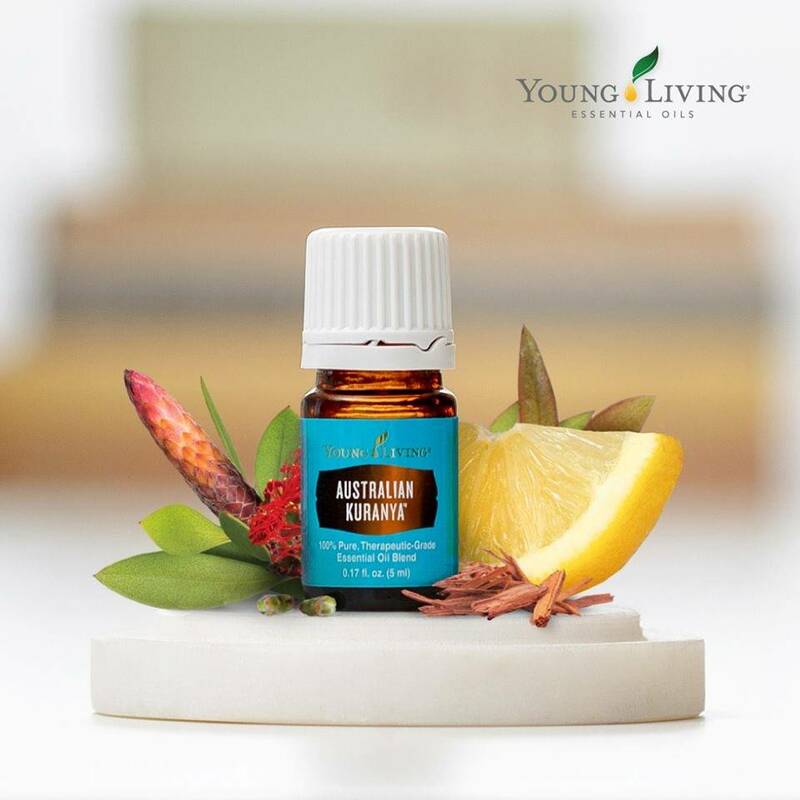 This blend has lots of great oils for the digestive system such as Peppermint and Ginger. This is one we love to travel with and have on hand for the holidays with the extra eating we usually do! ➕Thyme 15 ml (250PV): Thyme is a key ingredient in Ortho Ease massage oil (which is amazing!) and is great for use after exercise. It is also believed to bring a sense of purpose when used aromatically. Thyme also comes in a Vitality version, which supports the cardiovascular system, and is great oil for brain health. ➕Palo Santo 5ml (300PV): This little bottle of goodness does so many things! It comes from the same botanical family as Frankincense, so all the reasons why you love Frank? You will love Palo Santo for that as well. It’s a spiritual and grounding oil known for cleansing the air of the negative energies and for good luck. Palo Santo means “sacred wood” and it’s a beautiful oil to use for creating a more spiritual and sacred environment. ➕MultiGreens 120 count (300PV): We already order this monthly, so I am elated to receive this one for FREE! MultiGreens is a chlorophyll formula supplement that was created to boost vitality by working with glandular, nervous, and circulatory systems. MultiGreens is made with spirulina, alfalfa sprouts, barley grass, bee pollen, eleuthero, Pacific Kelp, and our essential oils. 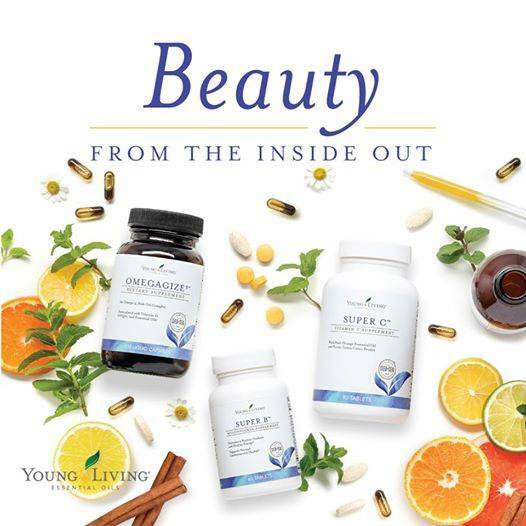 We will share more about this supplement this week! ➕Our Seed to Seal Story Collection: (BONUS Tier at 400 PV) I LOVE when YL offers us a bonus tier!!! When you spend 400PV this month, you will get this collection of 10 ml oils that includes Lavender, Peppermint, and Tea Tree. 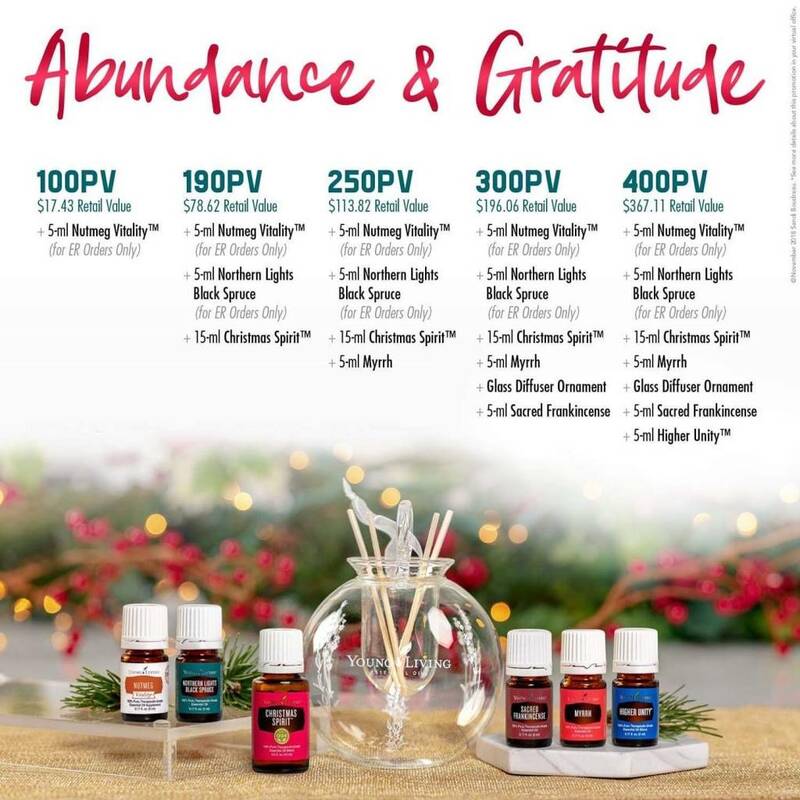 Three of our most used essential oils!!! What I love about this collection is that it comes in a small box and could be the easily gifted someone!! It’s also a perfect “spa experience” in a box! This box plus some Epsom salts and a foot loofa and you’ve got yourself a little self-care essential oil infused experience for yourself or to gift. 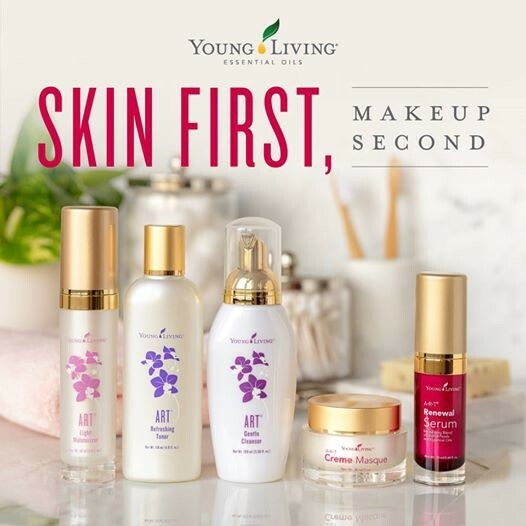 The retail value on these products is $386, and you’re getting it all for FREE when you spend 400PV! SO excited about these incredibly generous promos!!!!! I’m earning at least 100 points and getting close to 400 worth of products for FREE this month!!! !! !REMEMBER- SAVE MONEY ON SHIPPING!!! Meet the Spoken Health Team! Our Spoken Health Team is a community of moms, dads, couples, individuals and professionals, - people like you that are on a journey towards better health and wellness. Regardless if you are just getting started or searching for that missing link in your journey, you've come to the right place! Our goal is to live above the Wellness line. 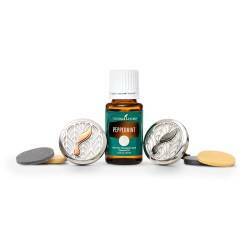 Young Living helps us proactively exercise preventive health care by supporting body systems. Are you ready to learn more? You've come to the right place! Why are we Spoken Health? Earth was nothing, empty and void - until God spoke. He created the Heavens and the Earth - the seen and the unseen with His Spoken Word. God spoke and commanding the earth to sprout life - to grow all varieties of seed-bearing plants. His spoken word still resides in plants and science proves we can harness the benefits through essential oils. Young Living understands the science. Essential oils are the bedrock of this company. Seed to Seal is the heart and soul that bleed into everything Young Living cultivates. We welcome you to look around to discover the power and purity found in our oils and oil infused products. We have what you need to eliminate the toxins invading your home and body. We are ready to help you and your family live above the Wellness line.